Data suggest that a sufficient loading dose should be administered in critically ill patients. Patients who are critically ill and have acute kidney injury, a body weight >70kg, and high minimum inhibitory concentration value pathogens who are undergoing prolonged intermittent renal replacement therapy require a loading dose of 6 million to 9 million IU of colistin methanesulfonate, as prolonged intermittent renal replacement therapy may eliminate as much as half of the daily dose of colistin, according to a study published in the Journal of Antimicrobial Chemotherapy. However, significant colistin accumulation was measured, which suggests that maintenance doses of colistin methanesulfonate should be adjusted according to renal replacement therapy intensity and body weight. The emergent problem of multidrug resistant bacteria has led to a renewed interest in older antibiotics, such as colistin. 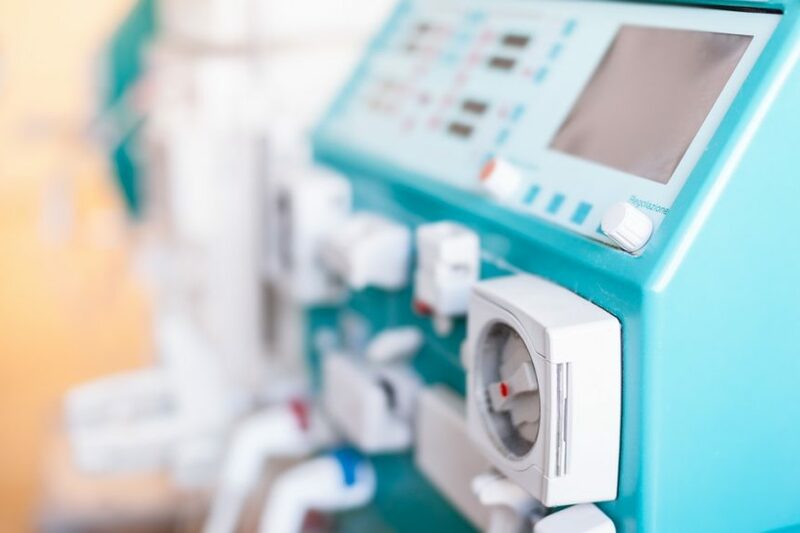 Study investigators used the current study (NCT02556190) to evaluate the single- and multiple-dose pharmacokinetics of colistin and colistin methanesulfonate in critically ill patients with acute kidney injury undergoing prolonged intermittent renal replacement therapy. Depending on dialysis timing, 8 patients in an intensive care unit who were receiving intravenous colistin were examined on days 1 and 5-9 of treatment. A total of 8 hours prior to prolonged intermittent renal replacement therapy, 6 million IU of colistin methanesulfonate was administered, followed by 3 million IU every 8 hours. A significant amount of colistin and colistin methanesulfonate was removed by prolonged intermittent renal replacement therapy, with a median dialyzer plasma colistin level of 69.3 mL/min (interquartile range [IQR] 56.3-318.7) for colistin methanesulfonate and 70.1 mL/min (IQR 36.6-96.2) for colistin. The median colistin amount in the total collected dialysate was 154 mg (IQR 105-175), which indicated that prolonged intermittent renal replacement therapy was removing about half of the daily dose. Median peak concentrations of colistin accumulated from 5.79 mg/L (IQR 4.14-8.79) on day 1 to 9.49 mg/L (IQR 8.39-10.41) on days 5 to 9. The maximum was significantly and inversely correlated with body weight.